There has been great interest in recent trade union developments in South Africa. The trade union movement in South Africa played a pivotal role in the struggle against apartheid, and the main federation, the Congress of South African Trade Unions (COSATU), was widely regarded as a new chapter in mass-based, democratic and worker-controlled trade unionism. 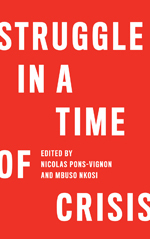 Indeed, for a time it seemed that the entire organised working class in Africa and beyond was looking forward to radical change by one of the most militant and determined workers’ movements to have emerged, especially given the ruination caused by so-called structural adjustment programmes across Africa and the South. Sadly, millions of people both inside and outside South Africa are still coming to terms with the disappointment at what was promised in the democratic dispensation. This was dramatically reflected in the 2016 local government elections: in the wake of a series of corruption scandals and worsening unemployment, poverty and inequality, the ANC lost three metropolitan centers to the conservative Democratic Alliance (DA), and the number of votes for the Economic Freedom Fighters (EFF) rose significantly. A harsh reality check revealed that the existing trade union federations were increasingly incapable, and even unwilling, to represent the growing needs of workers. Despite its revolutionary rhetoric and despite the wishes of those who sacrificed everything for it, the ANC in government has signally failed to radically transform South Africa. South African capitalism is safe to continue to exploit workers and preside over the most unequal country on the planet. What happens when the cat and the canary sit down for lunch? What exactly went wrong? When did it become clear that COSATU and many of its affiliates were not only failing workers, but had become part of the problem confronting workers? In South Africa, as in many countries on our continent, the trade union movement remains fragmented. Its components rarely campaign together and do not share the same political orientation, especially regarding alliances with political parties. There are currently more than 600 unions operating in the country, and many of them are small and exist only at a provincial or local level. At the time of writing only 186 are registered with the Department of Labour. More worrying, the level of solidarity and cooperation between and within existing federations and their affiliates is at an all-time low and is largely limited to ‘resolutionary’ solidarity in union board rooms far removed from workplaces. The alliance amongst the ANC-led government, COSATU, and the South African Communist Party (SACP) was supposed to respect the autonomy of its parts, but it increasingly became little more than a rubber stamp for ANC policies, and a constraining mechanism which demobilises workers, limiting their power to challenge the abject failure of ANC government policies. It has effectively abstained from addressing catastrophic levels of unemployment, poverty, inequality and corruption, and instead has become the leading apologist for failed policies and a failing president. Despite our best efforts over the years, 76% of formal sector workers are not members of a union. This is largely owing to the strictures of neo-liberal economic policy and its fixation on flexible work (that is casualisation and the extensive use of labour brokers), the decline of the manufacturing and mining sectors, and the economy’s inability to absorb school leavers. Consequently, the trade union movement faces a crisis of representation and legitimacy, exacerbated by a decline in worker control and membership involvement, and what we consider to be a fixation with ANC politics and securing political appointments. Figures from the Department of Labour show that 54% of workers in this country have their wages set by employers alone. Only 9% have their wages set through centralised bargaining structures and only 23% through any form of negotiations with unions. Shamefully, 10% of workers do not receive any increases whatsoever! The largest federation has not broadened representation, and there have been no initiatives for this purpose. We have also witnessed growing intolerance within the trade union movement. Hundreds of dedicated activists have been illegally expelled from their unions for whistle-blowing against corruption, and have been left without a union home. COSATU has failed to intervene to prevent either gross corruption in at least five of its affiliates, or the illegal expulsions of innocent activists. One affiliate has failed to convene a national executive committee for years in order to avoid posting financial returns! Another affiliate was subject to a successful criminal investigation and others are pending. The federation’s leadership are still prepared to tolerate the most appalling misuse of union funds and undemocratic behaviour in order to sustain the factional majority needed to expel those who disagreed with the politics of the tripartite alliance. The expulsion of the 245 000-strong National Union of Metalworkers of South Africa (NUMSA) and the dismissal of Zwelinzima Vavi, the popular general secretary of COSATU, in 2014 were turning points. This was purely political. Every justification made by the COSATU leadership was refuted in great detail, but the expulsions went ahead anyway. The intolerance of dissent, the inability or unwillingness to mobilise workers to defend their living standards, and the dilution of workers’ control and accountability provide the impetus for forming a new federation. There are now almost 60 unions which have committed themselves to form a new federation on a distinct set of principles. They are from a wide variety of political backgrounds and organising cultures. A steering committee has been formed representing all those unions who want to see the new federation established. However, it has been the articulation of what is meant by ‘trade union independence’ that has captured the collective imagination of those on the steering committee. The need for a trade union federation that is not tied to a political party, that takes its mandates from its membership and not elsewhere, that consciously builds democratic capacity, that maintains zero tolerance for corruption and for attempts to undermine workers control, has ignited a process that cannot now be stopped. Many lessons, positive and negative, have been learned, such as the need to dramatically reduce the social distance between leaders and members, most graphically reflected in the wealth gap between leaders and members and the adoption of lifestyles that contradict egalitarianism, and the absolute necessity of building a movement that practically reflects these essential values. The new federation will be guided by the principles outlined below, which are reflected in its draft constitution, currently being discussed across the country. Independence: Unions must be independent from employers, in the private and public sector, and from political parties. This does not mean that unions are apolitical. Worker control and democracy: Unions must be worker-controlled, must practise democracy, accountability, and transparency, and be tolerant of differences. Within the federation, affiliates must have their own worker controlled autonomy. Differences within and between affiliates must be tolerated, but the federation must have the authority to intervene to preserve unity and to maximise cooperation and internal democracy. Non-racialism and non-sexism: Unions must fight for the maximum unity of all workers and reject all divisive and negative sentiment such as xenophobia. It must ensure that women play a full role, including in leadership. Financial self-sufficiency and accountability, including active opposition, in word and deed, to business unionism, corruption, fraud and maladministration within its own ranks and in society as a whole. Internationalism and anti-imperialism: Unions must place a high priority on international working class solidarity, and guard against the divisiveness of the ruling class. Socialist orientation: Unions must be ready to engage in the transformation of our society to counter capitalist exploitation, inequality and poverty. Militancy in fighting for the working class and the poor: Unions must be ready to actively campaign for change, and make links with all of the oppressed of South Africa. Effective organisation and representation: Unions must organise in the most effective manner to represent workers and serve their interests. Solidarity with all workers in struggle against exploitation, corruption, job losses and especially for better wages and conditions. It is understood that building a new federation is not a quick fix solution. Much time will be needed for frank and open discussions. Differences of approach and ways of working will have to be closely examined, and many compromises reached. None of these efforts will be in vain if the new federation can break with the negative practices of the past. The working class deserves no less. The New Trade Union Federation, the South African Federation of Trade Unions (SAFTU) held its inaugural Congress in Johannesburg from 21 - 23 April, 2017. Documents and statements from the new federation are available on request from stephenfaulkner1951@gmail.com. 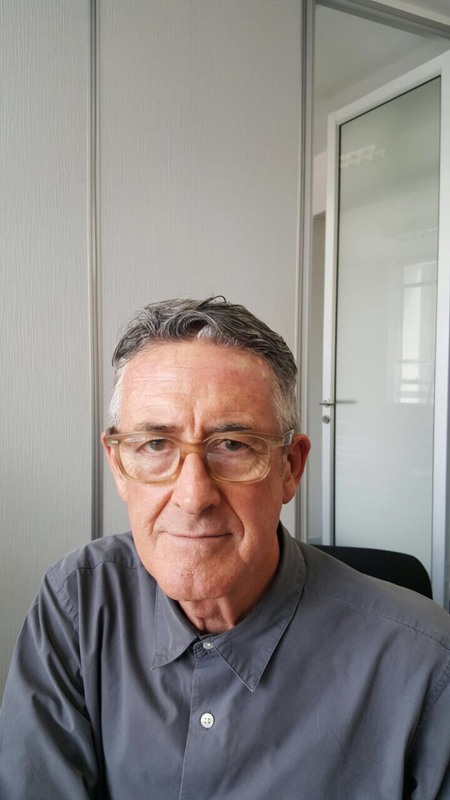 Stephen Faulkner is part of the Operations Centre Coordination of the Committee to Form a New Trade Union Federation in South Africa. He writes here in his personal capacity.